Most people are probably more acquainted with the famed musical and film My Fair Lady than the play it is based on - Pygmalion. But this original by British playwright George Bernard Shaw offers just as much charm, especially when it comes in a production like this with a stellar cast. 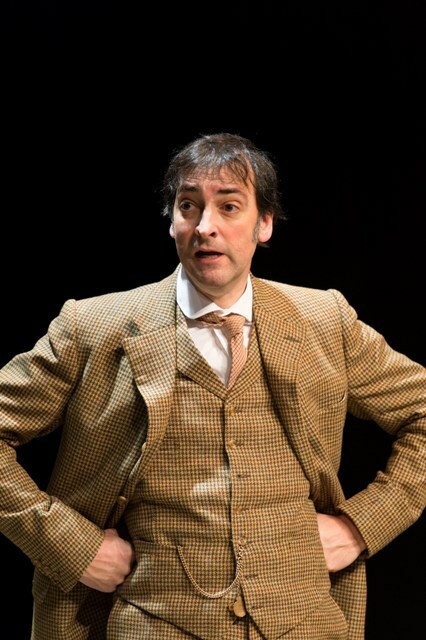 This new UK tour of Pygmalion, which I saw at Malvern Theatres, features television impressionist Alistair McGowan as leading man Henry Higgins. Professor Higgins is a haughty phonetics expert and McGowan's ability to parody accents sits well with a character whose raison d'etre is studying dialects. The story revolves around the professor's callous transformation of cockney flower girl Eliza Doolittle from a "guttersnipe" into a "duchess" with just six months of arduous speech training in order to win a bet with his amiable friend Colonel Pickering. This production puts an emphasis on just how childish the two men are being, something reinforced by Bafta award-winning actor McGowan's portrayal of Professor Higgins as a petulant child - stamping his feet in anger or jumping up and down when he is excited. The play opens with a chaotic, rainy meeting between rough and ready Eliza and Professor Higgins (as well as the other members of the small cast) outside the opera house in Covent Garden. 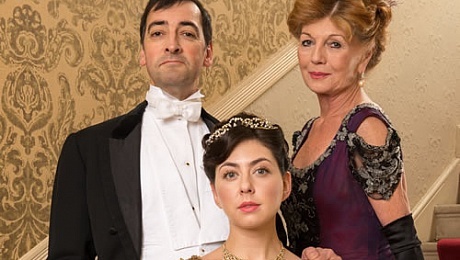 Set at the turn of the 20th Century when class divides were unmistakable and women's rights were virtually non-existent, the issues affecting females and what happens when you move people up the class ladder are pronounced - not just for Eliza but her lovable-rogue of a father Alfred, too. The story unfolds between a dark lamp-lit study and Professor Higgins' mother's grand parlour and is sharp and witty throughout. Rachel Barry is a delightful Eliza, transforming from a coo-ing muddy-faced commoner to a prim well-pronounced woman who has pride enough in herself to eventually play Higgins at his own game. 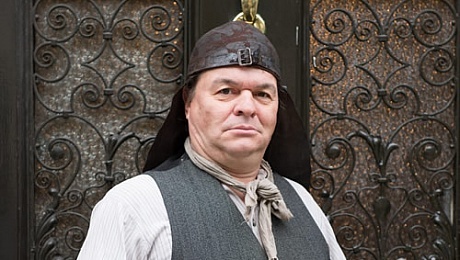 Amongst the small and excellent cast is also Rula Lenska as Higgins' patient mother and Jamie Foreman playing bin man Alfred Doolittle with gusto - he's had plenty of practice as a cockney, though, as he starred as Derek Branning in Eastenders. Paul Brightwell is also a steady hand on stage as polite, admirable Colonel Pickering. With strong acting all round and a play that has stood the test of time, this production can't do anything but leave you with a good impression. Tickets cost from £15 and are available from the Pygmalion Tour Website.